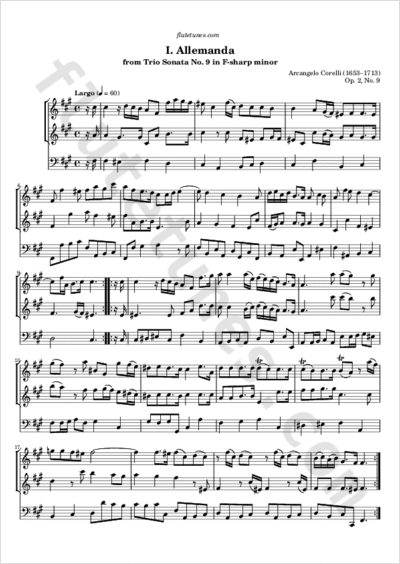 This Largo is the opening movement of Italian Baroque composer Arcangelo Corelli's Trio Sonata No. 9 in F-sharp minor, published in 1685. Unlike most of the other Op. 2 sonatas, this one has no explicitly designated prelude, so this slow Allemanda acts as one in practice.